The Ronin 2 is the next word in gimbal stabilization technology. 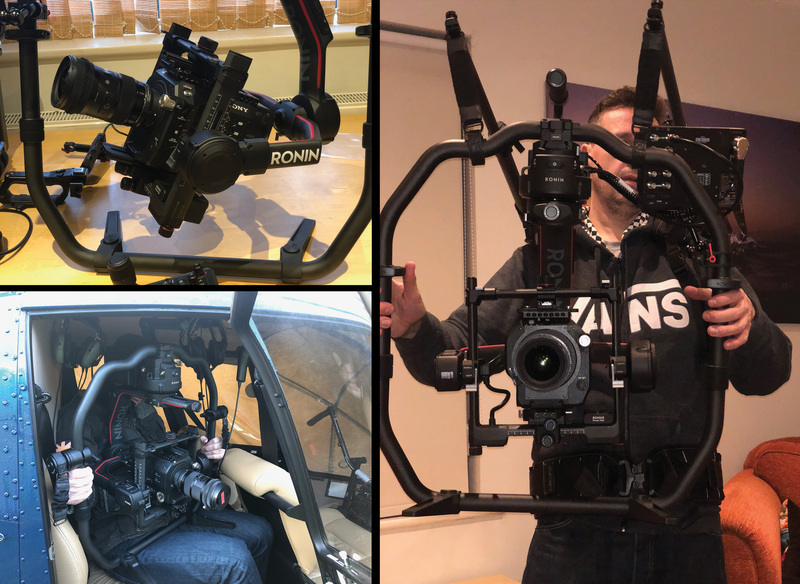 Having owned and operated the excellent Ronin MK1 for over three years suffice it to say I know a thing or two about the issues , intricacies and functionality of these remarkable tools. With the ability to load cameras weighing up to 30lbs the Ronin 2 is now truly in the realm of high end shoots - with remote control, follow focus and the ability to seamlessly switch from handheld to multiple platforms it's an incredible piece of kit that will be used across all manner of shoots from independent through to big budget Hollywood epics. I used the original Ronin with DSLR's and even the Sony FS7 but it just couldn't handle the weight of the FS7 when it came to really demanding shots. With the R2 thats now not an issue, incredibly powerful motors and ease of customisation via the built in interface means that even a fully loaded Alexa XT with Angénieux zoom lenses can be put on to this setup. I've recently setup and operated one for the BBC with an Alexa mini, Cooke Anamorphic lenses and Follow Focus, Teradek TX V Lock battery etc. I usually operate the Ronin 2 with a Sony FS7 and the Ready Rig Pro GS Vest - this allows for long handheld shoots great for events, music videos and long shoots. It's also available for wet hire - I'll come along, setup your camera and give your camera op a few lessons in how to handle the rig and make sure it keeps running throughout the day. The big advantage of the ronin 2 is its true flexibilty when it comes to handling different cameras and setups, this means more time shooting, less time balancing. SteadyRig GS with Pro Arms - customised with Cinemilled Spindles.